I have been compensated by QVC, but as always, all thoughts and opinions are my own! Love going on trips, but hate packing? Yep me too. 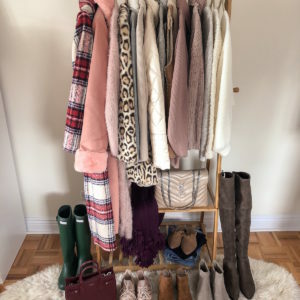 Deciding what to bring on a weekend trip is one thing, but pulling together 7+ days of necessities into 1-2 pieces of luggage can be incredibly overwhelming. When I first started traveling on a frequent basis, I had absolutely no strategy when it came to packing. I would spend hours the day before a trip feeling stressed about how I was going to fit everything in my suitcase and unsure of what should go in my carry on vs what could be checked. 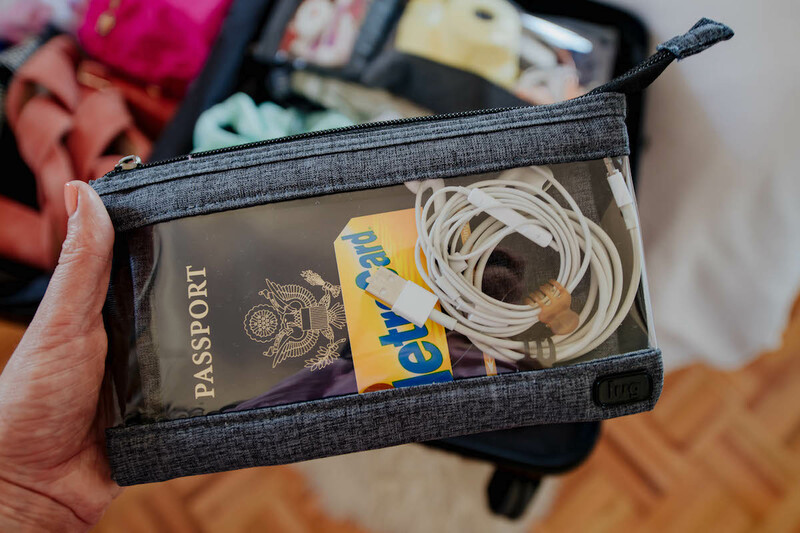 It was an agonizing process and I quickly realized that I needed to do some research and find out if there were any travel accessories and tools I could be using to make my life easier when preparing for a big trip. I’ve personally found that if I put in the work to pack in a very organized way, I can avoid a lot of unnecessary stress when I’m actually on my trip. I’ll tell you now: it’s crazy how much time and space you can save with the help of a few inexpensive gadgets! 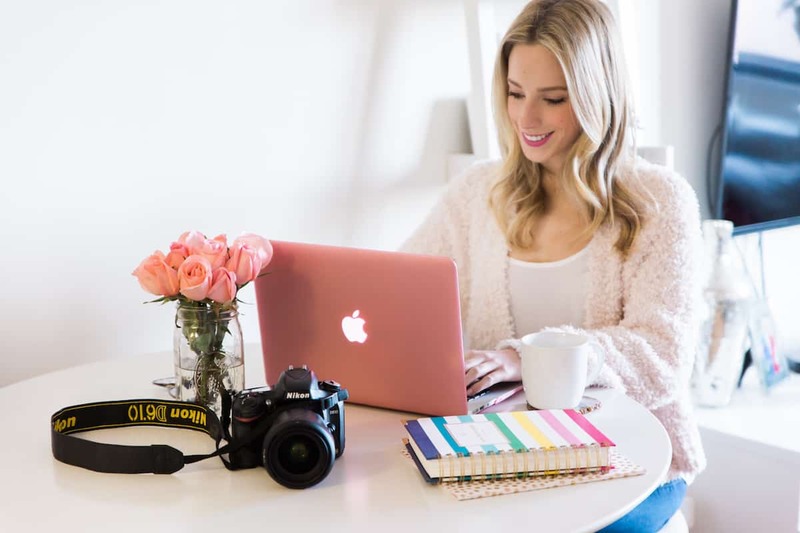 I’m always getting asked about my travel must-haves (you guys already saw a few of them in my “How To Pack A Carry-On Bag” video demo), so I thought it would be fun to share 5 new accessories that have really made my life easier when I pack. All of these I found on QVC.com and were very reasonably priced! I’m obsessed with packing cubes. 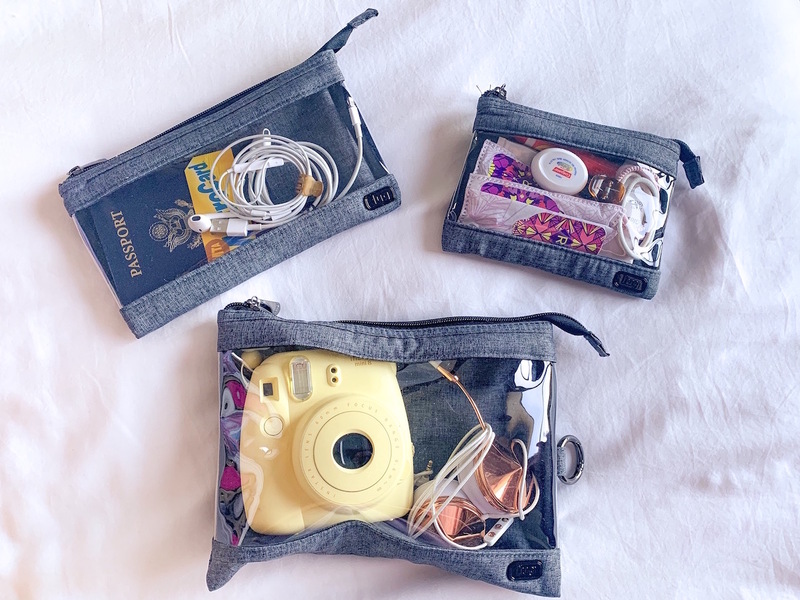 I love using these to keep all my clothing and accessories organized within my luggage. I usually will pack similar items together in one bag (i.e. underwear & socks, tops + tanks, etc.) but depending on the trip, sometimes I’ll organize these by city or even the day. For example on our trip to Marrakech and Paris, I put together all my outfits in advance and packed the ones I knew I’d wear in Morocco in individual cubes and then the ones for Paris in another. It really helped me stay organize and I never felt like I had to rummage though my bag searching for something! Nick and I often share one very large checked suitcase when we travel. It’s great because it keeps us from overpacking, but can get tricky with airline weight limits. Most airlines only allow individual checked luggage to be 50lbs or lighter and anything above that results in a hefty overweight luggage fee. As much as we try to test out the weight of our bags at home and evenly distribute heavier things to our checked bags, we’ve still encountered the dreaded words, “your bag is overweight,” more than a few times at the airport. Weighing your bags at home with a digital luggage scale is the best way to avoid this and I’m still wondering why we never got one sooner. I found this digital scale on QVC.com is just $20! 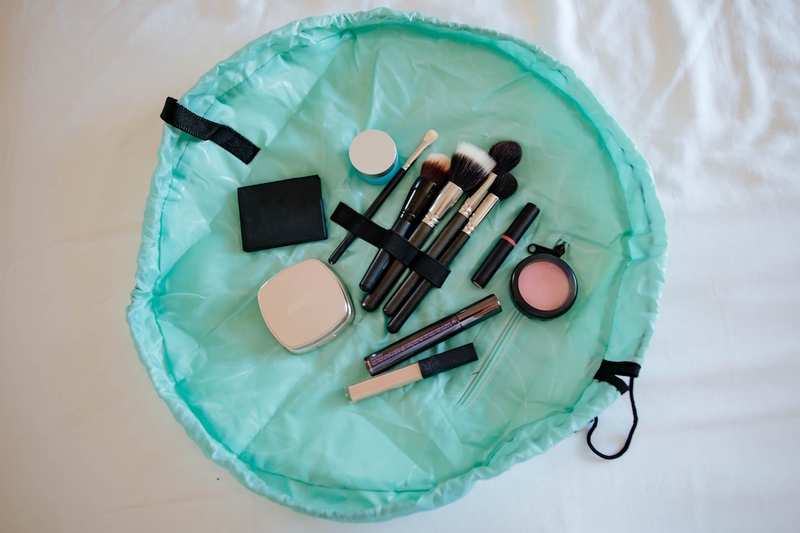 Not all toiletry bags are made equal. As much as I love a roomy zipped makeup bag, that just won’t cut it when you’re sharing counter space in a small hotel bathroom. 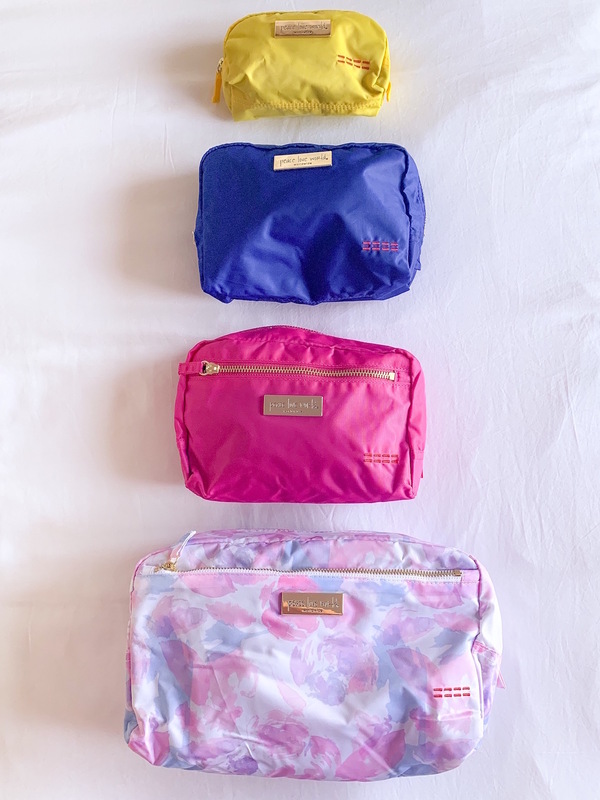 My favorite style toiletry bags for traveling are ones that hang or can be stored in a compact way. 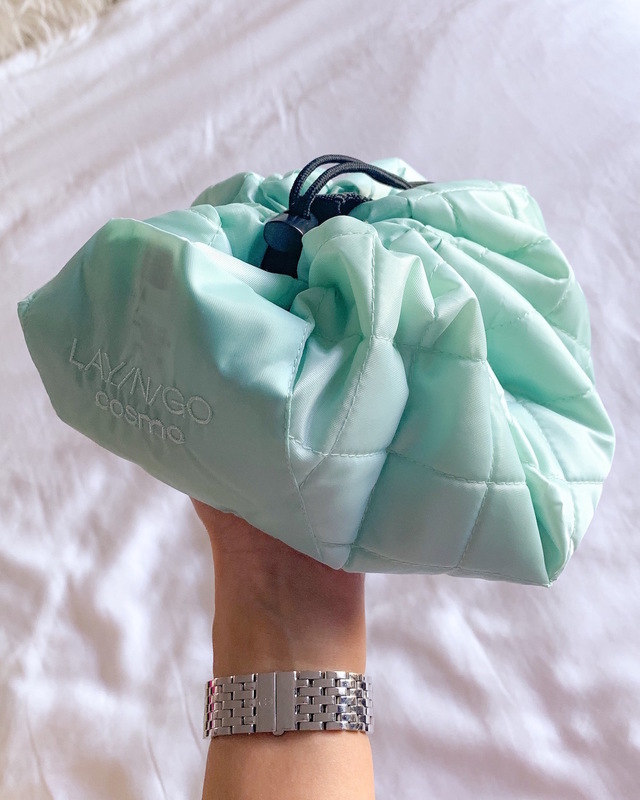 How fun is this lay-n-go makeup bag? I can’t tell you how many times I’ve had to get ready sitting on the floor in front of a mirror and have had to lay out all my products on top of a towel. This bag is genius because it open up completely flat, but then can pulled closed into a neat little pouch with a drawstring. Have you ever been in the airport security line and not been able to find your passport or ID because it’s somewhere buried deep in your purse? I’ve been there more times than I’d like to admit, which is why I now use these clear envelopes for storing important documents and items I frequently reach for. I can easily feel these within a large tote bag or backpack and the clear front makes it easy to see what’s inside. After years of doing all my packing on the floor of my bedroom, I finally got myself a folding luggage rack. Why did I think that these only existed for being used in hotel rooms? Being able to prop open my suitcase at waist height definitely beats having to constantly get up and down from the floor. You can’t shop QVC for just one thing, right? 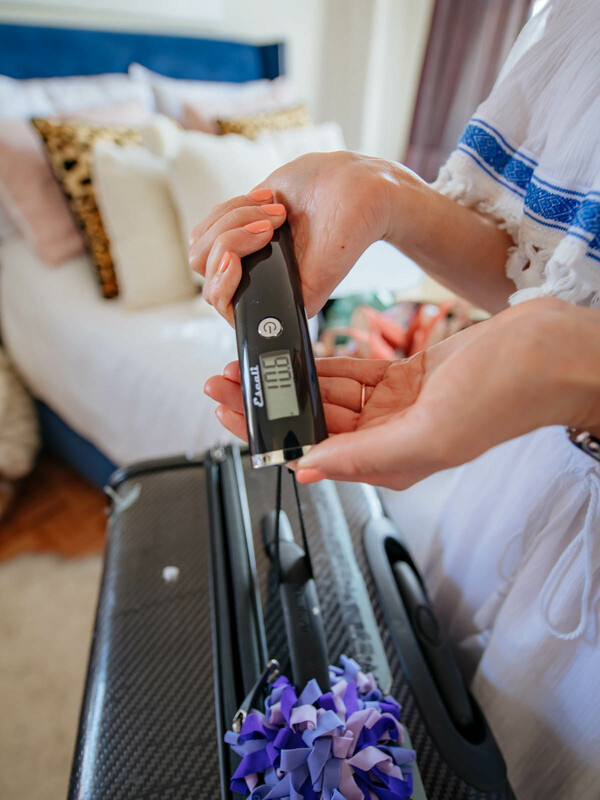 I know the point of today’s post was to chat travel essentials, but what fun would it be if I didn’t share a few fashion and beauty must-haves? QVC is one of those shopping destinations where you always up finding way more than what you originally had in mind. Case in point: me with these two pairs of sandals. 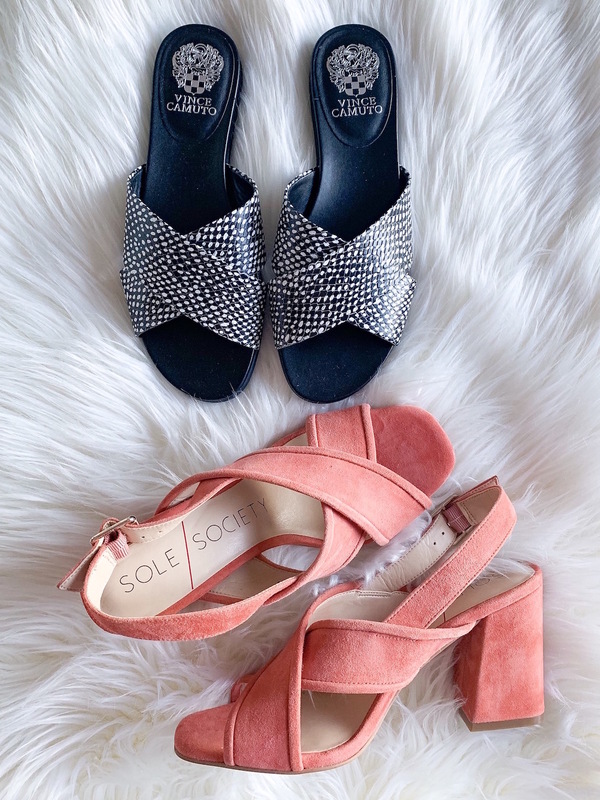 Charleston got me in a spring frame of mind and now I can’t wait to pull on open toe heels and slides once New York finally decides to warm up. 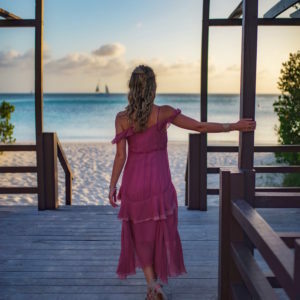 Maxi dresses are one of my favorite things to wear when I travel because not only are these super breathable and comfortable, but you can find lots of styles in wrinkle-resistant fabric that double as swim coverups. This ruffled off the shoulder number would be perfect for a beach vacay or to wear for a day of exploring! Another thing I always do before traveling to a warm destination is apply a self-tanner. 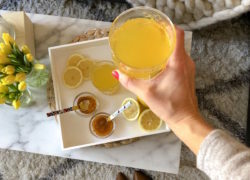 I talked about a few of my favorites in my Best Of Bodycare round-up and while I love these using these tanners at-home, I would’n’t describe them as travel-friendly products. 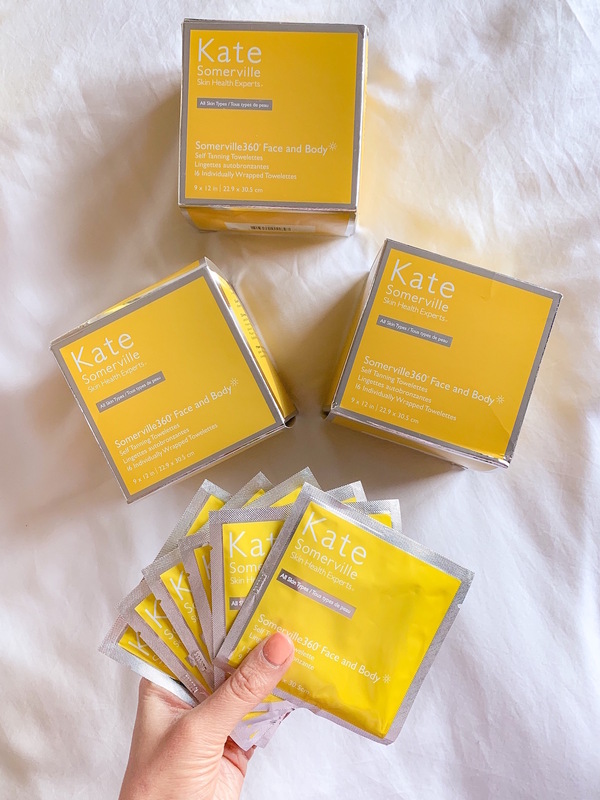 I’ve tried samples of these Kate Somerville Somerville360 Tanning Towels a few times over the last few years and always LOVED the results, so when I spotted a 3-box set on QVC I had to scoop them up. These are incredibly easy to use and the tanner dries fast so you can put your clothes right back on after applying! Each towel is individually wrapped so if you want to touch up your tan on vacation you can simply pack one of these in your bag. 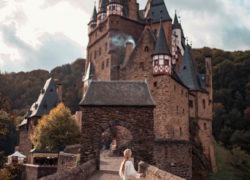 You have made my traveling so much better by all your great tips. I also hate to pack. I wait until the last moment.